Allaboutlimassol.com - 5 Limassol architects answer: Which is the city we really want? 5 Limassol architects answer: Which is the city we really want? 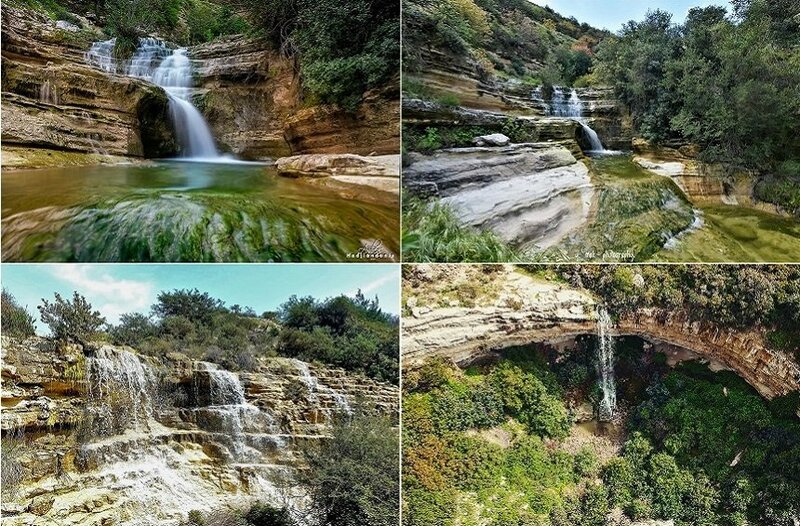 * NOTE: All the tributes of All About Limassol (as the Official Guide of Limassol) aim to ONLY highlight the special aspects of this wonderful city, so that everyone can be aware of the exceptional options they offer. Under no circumstances do they have any promotional or nominal value, and they do not serve the interests of Companies, Municipalities, Organizations or Individuals. A big city miniature, with more than 10 kilometers of coastline, endlessly moving, spreading and evolving for decades now. 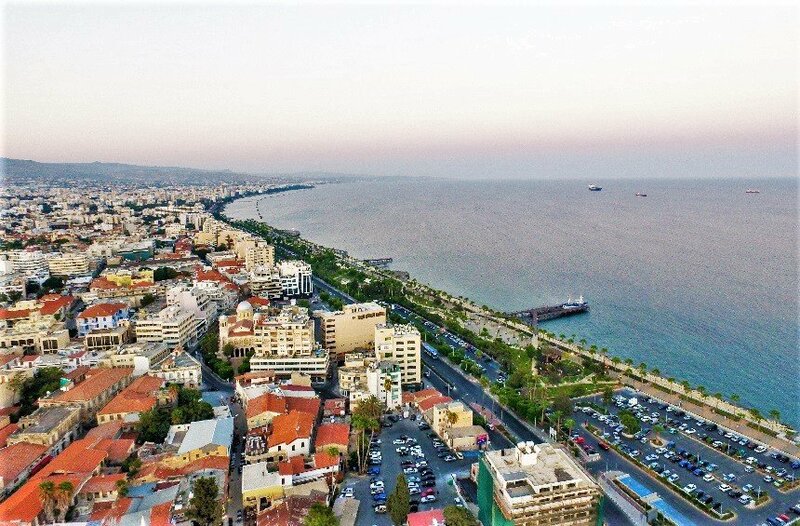 This is Limassol, a small diamond in the Mediterranean, which has managed to become a destination for business, tourism and permanent residency. Ever since 1974, when it became the main port in Cyprus, to eventually turn into one of the largest in the wider area of the Easter Mediterranean, Limassol never stopped surprising people pleasantly, even if there have been some rather unpleasant elements in this course. These past few years the discussion evolving around Limassol’s identity, history, the potential and the needs this fast growing city has to cover in the future, has been quite a trend. Specialists, experts, academics, officers and everyday people have stated their opinion, officially or unofficially (after all, the social media these days provide several such opportunities. Through short statements, 5 acknowledged architects in Limassol present their own approach on these matters, drawing out in simple lines and clear meanings where the city is now, where is it going and in what way should its future be designed. 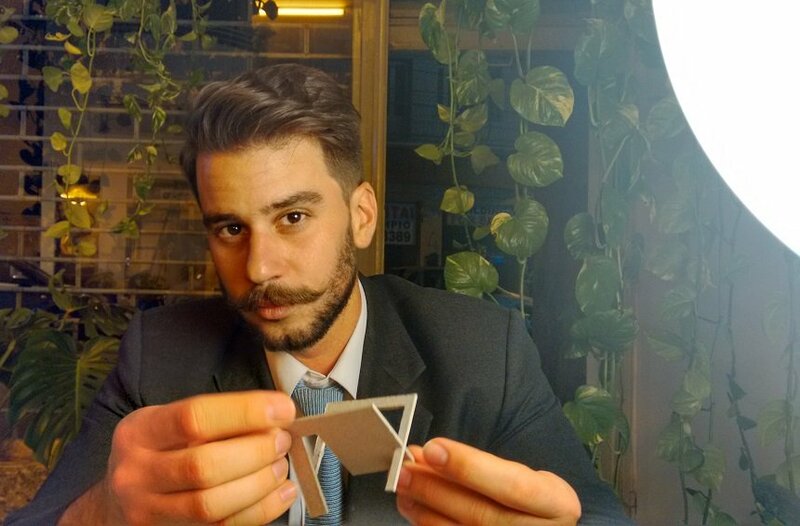 One of the youngest members of the local community of architects, Alexandros Christofinis has become involved with the historical course of the image of the city, which led (him and his partner Maria Lianou) to a project called "Limassol: What comes after development?". Though this project, he suggests an acquaintance with the identity of Limassol. Some of the buildings of this era have reasonably drawn some publicity, promoting the idea that this is the city’s identity. I don’t agree with that. A city’s image is not simply what has been portraying as such in a tourist guide or a sales brochure, but also the images one can find in any of its corners. The identity of Limassol is the habits and the routine of its residents, according to their socioeconomic standards. Aiming to capture the identity of the city, along with my partner Maria Lianou (astist) we created the project “Limassol: What comes after development?”, which has been published in a book. 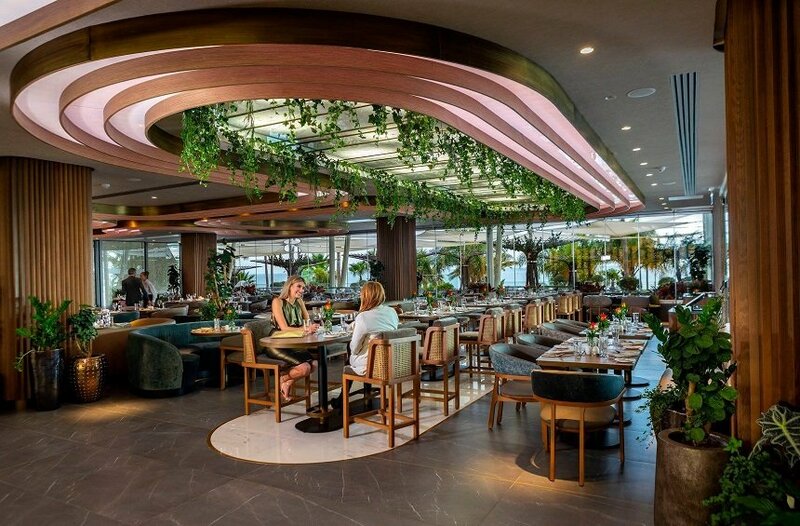 The project describes the modern vibe of the city, through the eyes of specialists and simple people living in it, with material from the various architectural styles one can find in Limassol. The project also suggests an architectural tour on Navarinou street, so that one can experience the evolution of the city’s identity. ​The design of a city has 3 levels: the location (where each construction will be placed according to its use), the urban planning (the design of the areas) and the different scales of constructions (single buildings or complex ones). That is, architecture in Limassol may bring quality of life, as long as there is vision about the future, which would serve as many users of the city as possible. 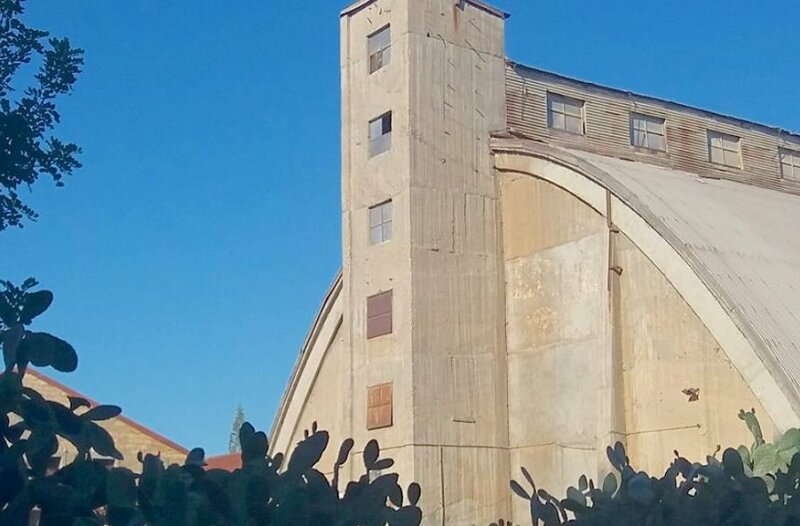 The unique style of the carob warehouse in the area between the Old and New Port. I am worried about the lack of a thorough Urban Plan and I am grieved to see the same approach that marked the city right after the tragic events of 1974. Which exactly is the limit number for high-rise buildings? In 1974 there was the alibi of the disaster, but what is the alibi today? Why isn’t there a master plan yet, including these buildings, too? Designing its public areas, Limassol managed to update the quality of life in these areas and the goal is to manage to design the streets and neighborhoods, with the same quality. 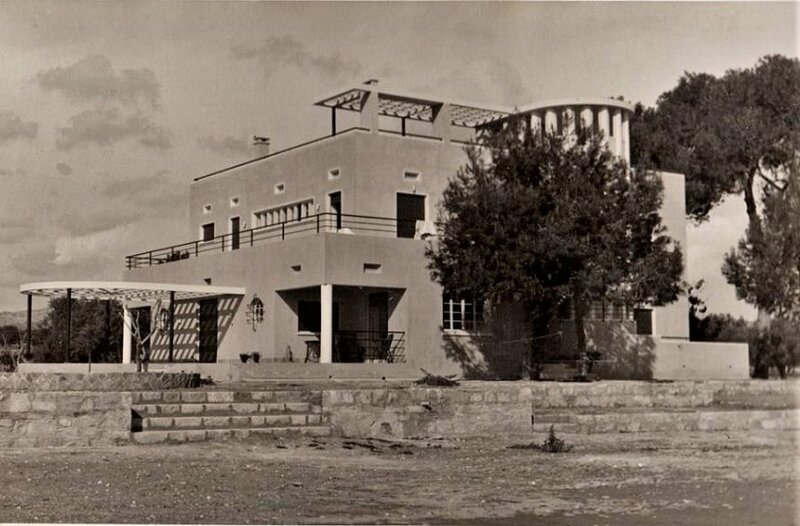 It would also be useful to emphasize on buildings of the Cypriot modernity (1950 - 70), since they have been a neglected architectural monument. ...the cheap materials, the unreasonable use of concrete and the undermining of the natural environment. The Municipal Gallery is a magnificent sample of the modernism era in Cyprus, from back in the mid-20th century. The cities that encourage socializing and meeting with people, based on the latest statistics, are among people’s favorite cities in the modern world. In this direction, cities like Barcelona with its “Superilles” (widened blocks) gradually steal room from automobiles to give it to the pedestrians, to neighborhood parks and social meeting places. It is a fact that, in a few years (maybe 10), every city in the world will experience the consequences of the drivers’ detachment from their cars. So, I dream of a pioneering Limassol, with in-depth studies for the city’s plan and traffic, which will act on the opportunity to promote, through technology, perfectly designed areas and means of transportation, the productivity of this place, the immediacy and the high quality of life". 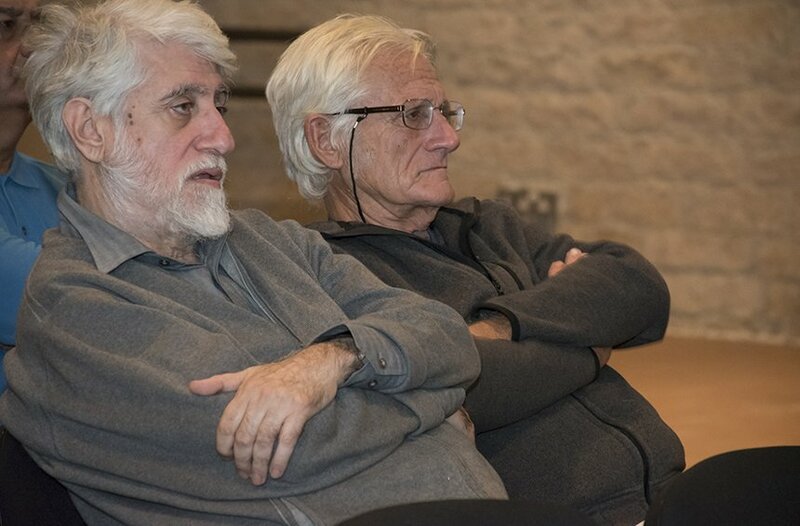 An architect with deep love for Limassol, writer of a landmark book, "Limassol: Memory flashback", which guides the reader through the history of the city, by discovering its architectural monuments, Tasos Andreou is among the people that can offer the much needed historical perspective in the discussion about architecture. Personally I am disturbed by the construction of high-rise buildings in the historical city center, the insolent volume which is a nuisance for the humane sizes of the area. ...and have its well-being a priority, instead of the greedy tendencies of the developers, who control a big part of how the growth of the city is planned. But these are in a great part up to the society that will succeed this one and its need for reassurance through exhibiting its strength". 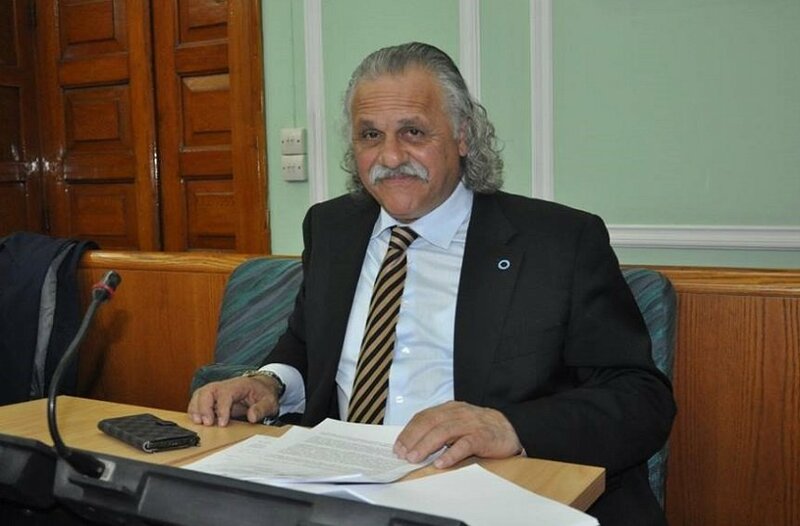 Head of Miltos P. Papadopoulos and Associates firm, former member of the City Council and and a fervent Limassolian, Miltos Papadopoulos has been an active part of the local society all his life. Experiencing the city's delights to the extreme, he has a very specific view of it in his mind. Traditional buildings have been thrown down at the seaside area, but we still have our architectural heritage in some degree. Several buildings were have now come under the state’s protection, so they are not in danger of being demolished. Of course, many of the owners don’t have the resources to preserve these buildings and unfortunately they are destroyed. The architect will set the lines for the quality of life in a particular space and in a city in a city in general. Respecting the people that live in a city, in order for everyone to have access to air and sun, as well as an image that does not irritate, is important. Of course there can be high-rise buildings, but not in the traditional city center. ...but this does not apply for all of them. The worst issue is the lack of proportion in each area, when a 30-floor building appears next to a 2-floor one. High-rise buildings should be appointed in a certain area, just like it happened with Manhattan for example, so they wouldn’t spread out in the entire city. The area between the Old and New Port is ideal for this kind of developments. Of course, there are a lot of them already in progress in the rest of the city and even at the seaside, already creating a wall between the old city and the sea. This is a matter that should be examined by the responsible authorities and the ministry. The 1st Municipal Market, known as Pantopoleion, in the heart of the historical center, is still a marginalized advantage of the city, even after its recent restoration. ...to preserve the traditional identity of the city. The traditional environment of the city and its residents deserve some respect. The GSO, in the most central part of the city, on the seaside road, is not functional, no matter how many times the Municipality tried to make it work. As for the Old Port, I think that the building in the entrance is not working well, it blocks the stream of air, while there should be an open square there. 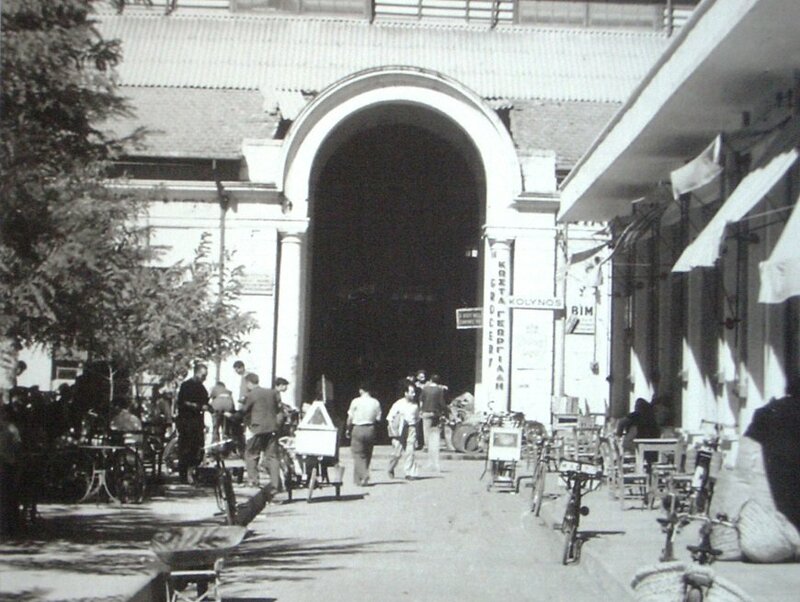 Since I am mostly a Limassolian and then an architect, I would like to see the city reviving some of its traditional buildings, such as the Municipal Market, in their original function. With several excuses for the lack of parking areas etc, this building remains in the margins, but as long as there is a will, there will be a way. But, for any development to be stepping on steady grounds there is the need of a traffic study and the necessary infrastructure for it to be sustainable”. 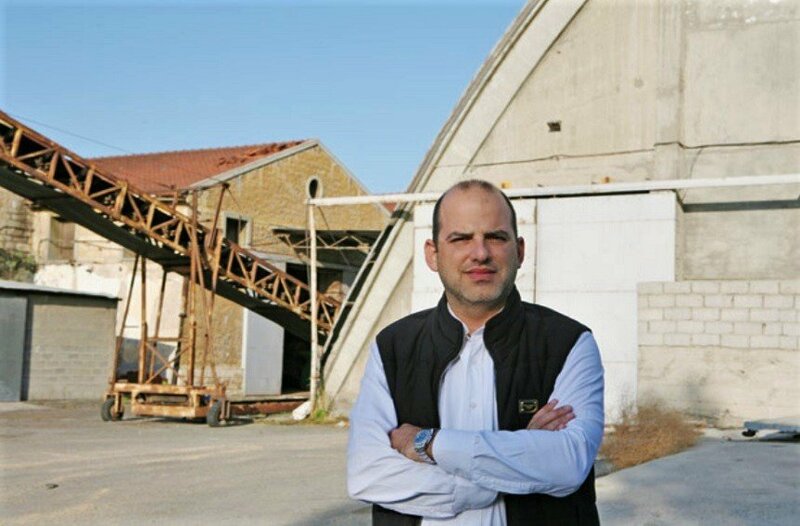 Stelios Lakkotrypis, member of the board of the Limassol Architects Association has worked both by himself and as part of the Association with issues related with the image of Limassol and the course of its development. 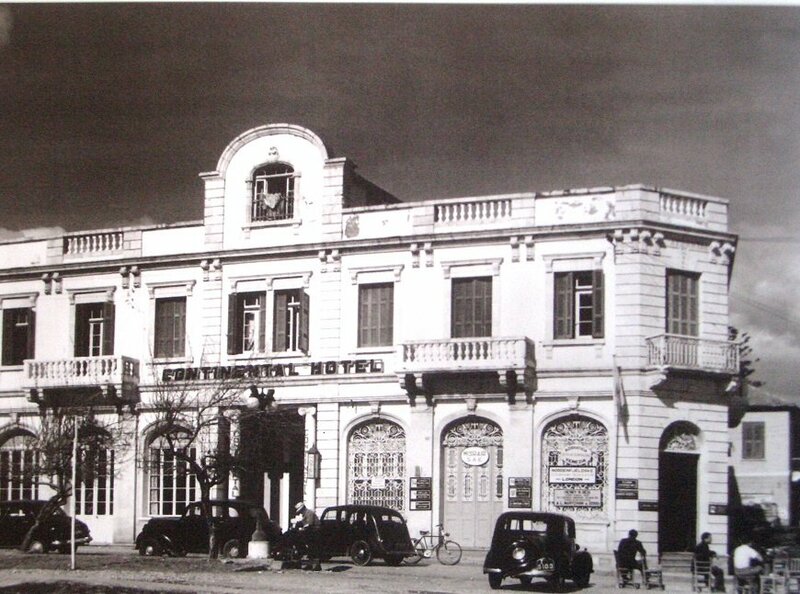 The famous Continental hotel on the seaside in the mid-20th century. …searching of a new, made-up “glamorous” identity which doesn’t suit it. And if the alteration after 1974 were a result of the war’s disaster, the alteration attempted today with the so called “large developments” have no social or historical background. ...in order to make good use of the human resources and motivate the entire society. Architecture needs to reinvent its social and public role, marginalized areas need to be a priority, cultural facilities need to be decentralized and reinforced, as well as public areas of social meeting places need to be present. Social housing also need to be reinforced. No building that can be beneficial to the environment and the society can be a threat, wether high or low…. But what seems to be happening is a random placement of high-rise buildings across the coastline, without any effort to be incorporate in the existent urban tissue and without the social acceptance, which will inevitably lead to unpredictable, environmental and social consequences. In particular, if high-rise developments are allowed at the seaside near the old docks, the historical center will be forever marginalized. It should showcase its monuments (the Castle, the church of Ayia Napa etc) in a better way and its rich heritage, too. It should reinforce the natural contact with the coast, through bold and imaginative solutions and showcase the exquisite neighborhoods of the wider urban area, with the unique samples of urban housing, of high quality and aesthetics, especially the ones from the modern era. 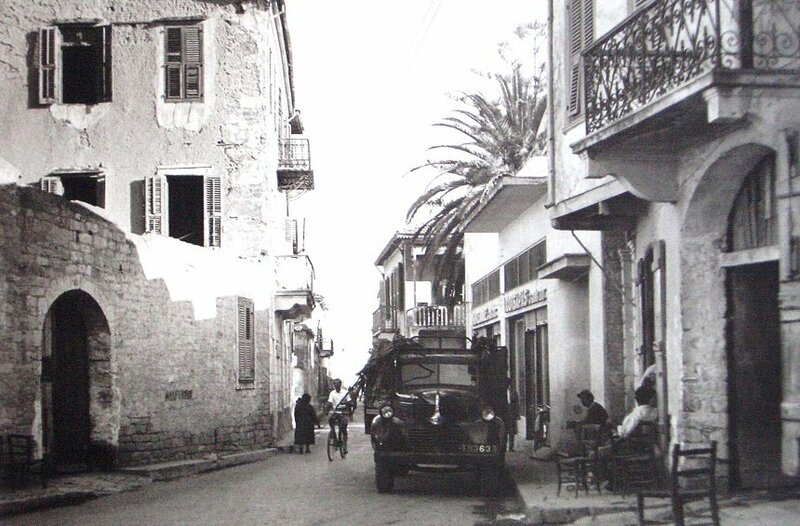 The corner of the church of Ayia Napa is one of the most typical images of the historical center of Limassol. ...to bicycles traffic and the ease of pedestrians. Exaggerations that lead to unfitted and complacent developments, should be avoided, in order to find its lost memory again and become the stylish, friendly and hospitable city we used to know. The absence of green areas, bicycle lanes, sidewalks and public areas is also a problem. The lack of connection and balance in the city’s growth is an issue, since some areas are left outside the present urban tissue. We should release the monuments, parks and public buildings of fences and remove the poles from the area of the historical center, since they kill any natural movement. A city with museums and culture areas in modern, landmark buildings, which will embellish the everyday life with culture. Free from traffic, with flexible transportation and a developed web of sidewalks and bicycle lanes. A city that will grow in a balanced manner, both in the center and the suburbs. In general, it should be a calm and friendly city, full of vividness and creativity, with free and educated citizens, who will allow it to grow with moderation and a proper plan, with respect to its history and environment, thinking of the generations to come". 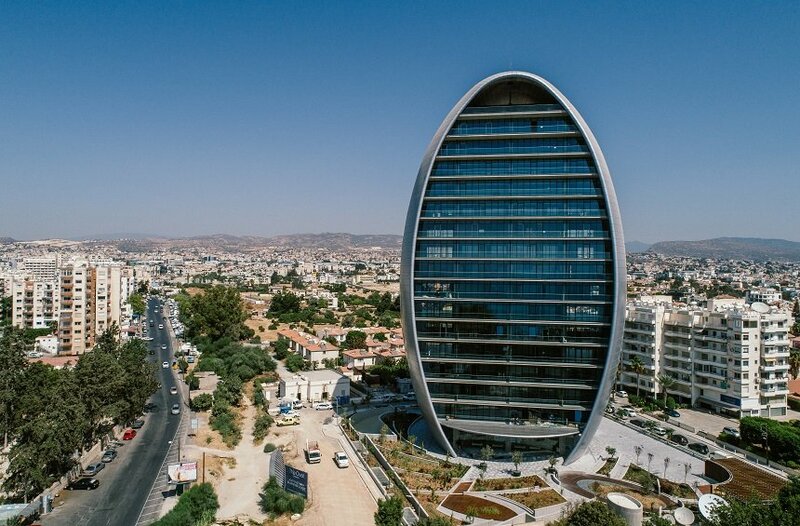 Head of the Armeftis and Associates firm, previously a member of the City Council, having collaborated with the international firm Atkins for the design and supervision of The Oval, Yiannis Armeftis, certainly has a very particular perception of the function of architecture in Limassol. Limassol is a modern Mediterranean city that the past decade has restored and strengthened its relation with the sea, with works such as the Olympion Coast, the seaside park at Epihosi area in the port, the restoration at the Old Port and the creation of the Limassol Marina, as well as with the new passenger room at New Port. 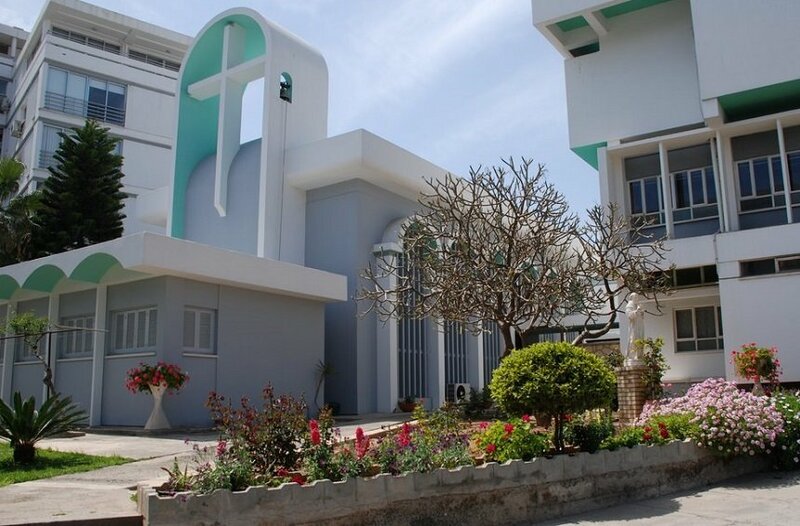 Places of reference in the city are the Medieval Castle, the old neighborhoods of Zik Zak area, the classical buildings of St. Andrew's Street and Irene’s Street, the Municipal Library and the churches such as the Ayia Napa church. The establishment of the Cyprus University of Technology (CUT) in the center of the city has also given a new identity to the center, since old buildings were restored and new buildings were erected, while the pedestrianization and the redevelopment of squares, such as the Saripolou Square, gave impulse for a complete upgrading and revitalization of the old city. The industrial heritage of the city is also important, with the water tower, as well as the old wine industries, the carob stores, especially in the area between the old and the new port. The approval of the project area of ​​the center, which includes the above area, I expect that it will give impetus to the creation of a new architectural identity that will take Limassol even further. ...in the same way that in a house, the architect has to cover the basic needs of the daily life of the users (sleep, hygiene, relaxation) in a structure with aesthetics standards, adopted to the family's economical potential, so the design of a city should be structured. The architects – town planners while designing a city, must take into account the needs of its residents and its visitors. The modern Limassolian seeks the socialization and the sense of belonging in the city, the exercise and the relaxation, which are becoming possible by the creation of more public spaces such as squares, pedestrian streets, bicycle lanes, parks and green areas, independent from car, with less transportation and discomfort in the streets. All these in the context of the sustainable mobility of course. ...for our cities to be transformed in a better way. If the policy for the high buildings is to ensure more green spaces, to create public squares with quality space, respect for the neighbors’ and the region's amenities, visual flees, terrain and architecture of high aesthetic level, then all these will improve the image of the city and consequently the quality of life. 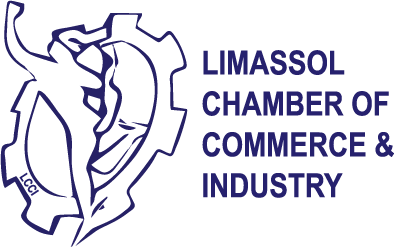 In the wider area of ​​Limassol, developments for high building that worked positively have been authorized, both urbanely and economical, during the difficult times of the economic crisis. Unfortunately, permissions that blocked the sea views and created a new wall – or they will create it in the future – were given, precisely because of the fear of the height. ...to synthesize the old with the new, to create big urban parks as they did 100 years ago with the creation of the Public Gardens. We should respect the physiognomy of the old neighborhoods or to restore it where needed. The heritage of the modern should also be preserved, like some old buildings of the 60’s, of Colakides of Psyllides, of Mavrommatis, the St Mary's school of Economou, the SEDIGEP store of Polydorides. We also need to invest in the re-use of old wineries with new features combined with modern architecture and more, we need to strengthen the relationship with the sea, with the perspective that is opening with the creation of Aktaiou Street. 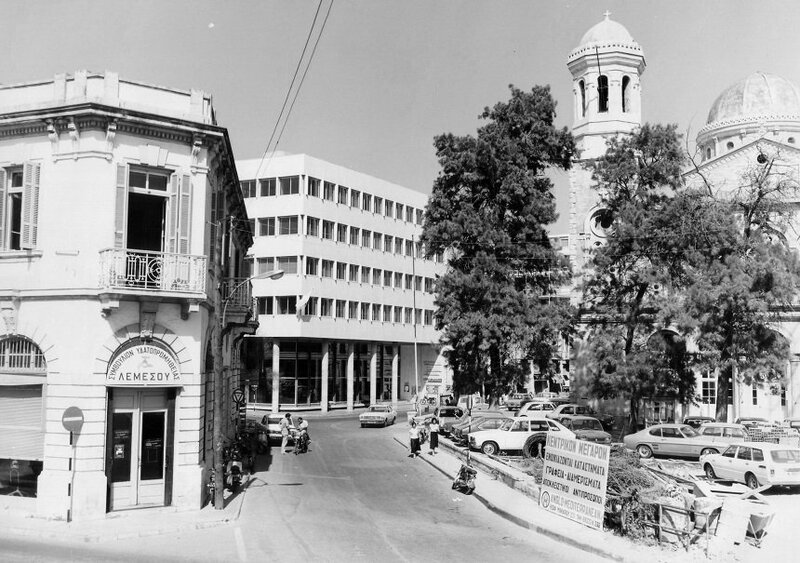 St. Mary's School still stands today as one of the most unique construction in Limassol and in Cyprus. ...the impassive and degraded buildings on the Pentadromos Street, the disorder of Navarinou and Gladstonos Street, the apartment blocks at Agios Nikolaos round about, the air conditioners and the signs on the buildings, the poor and cheap combination of materials, the optical cable pollution, generally the poor state of maintenance of the buildings and the absence of a legal framework to ensure that they are kept in a good condition. 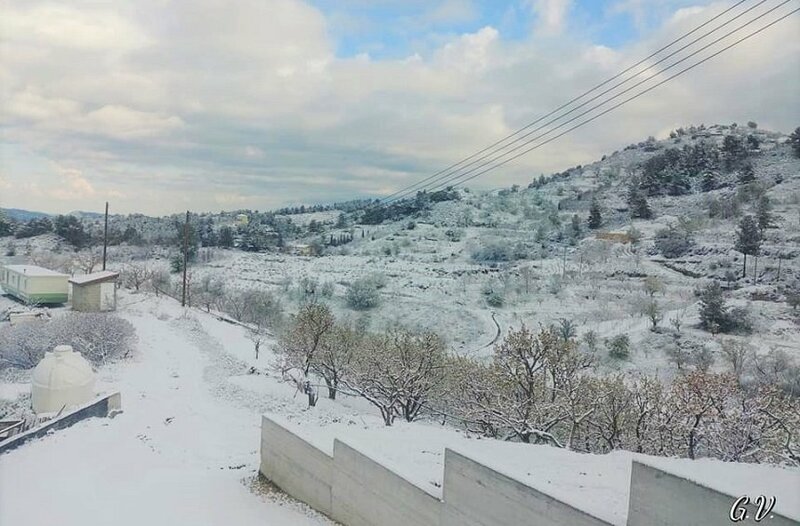 Problems also create the incomplete and the abandoned buildings, such as Pieris in Omonoias Avenue and Fysko in Petrou and Pavlou area. I am also annoyed by the narrow sidewalks, the discontinuity in the street and the lanes of the sidewalks, as well as the absence of road green. 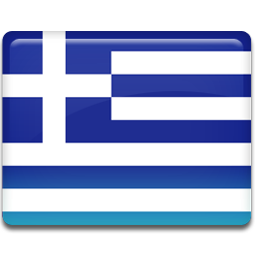 The city can become an economical, energy, educational, medical, sports, tourist and cultural center with jobs for everyone, with range not only to Cyprus but also to the Eastern Mediterranean. The city center must be left without cars and to organically integrated with the beach, since the existing buildings become less and higher, the Aktaia Street should be completed and a linear park should unify the Old and the New Port, with the movement of the old winemakers. Public transport without pollutants is also needed. More, incentives for the retirement of the old and insufficient buildings may be given. The city also needs bourgeois hotels. Modern sports facilities are also needed, as well as a decent archaeological museum and a modern art museum in the gallery". One thing for sure is that this city can only grow bigger. The only thing pending is to determine the way this is supposed to happen, in order to grow into its adulthood and mature, while growing bigger, to realize its potential and advantages, make use of the best part of its past and bring it into an even brighter future. In this frame, what each one of those who experience and love Limassol needs to do, is to recognize a way to be a constructive element in this course.